Primarily we focus on providing tailored and cost-effective Microsoft Office training improving productivity throughout your business. What makes us unique is our desire to provide you with training that covers what you want, tailored to your needs, rather than someone else’s menu. 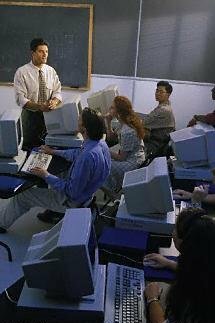 We can offer either standard courses which follow a logical progression from Foundation topics to Advanced allowing the learner to increase and improve their skills in a logical and structured format, alternatively, our Customised courses allow focus on specific tasks or roles ensuring that key elements are covered. We offer two main styles of Microsoft Office training – Standard Courses and Tailored (or Customised) ones. The key to successful training is ensuring that the “right” training is delivered to meet clients’ specific needs. All of our training delivery is tailored to your requirements. Developed specifically as part of a wider company programme, tailored training ensures that clear deliverables in terms of increased productivity and effectiveness are achieved to help meet the businesses objectives.